On Monday 13th July in the presence of HRH Princess Alexandra the staff and trustees of the Huguenot Museum will be holding an event to celebrate the museum’s public opening. Britain’s first museum of Huguenot history opened its doors to the public in May following a £1.5 million development project. Rochester’s newest museum tells the story of the Huguenots, their persecution in France, escape to Britain and the trades, crafts and skills they brought with them. Since the early 1960s the French Hospital, La Providence, has been situated in the heart of historic Rochester. 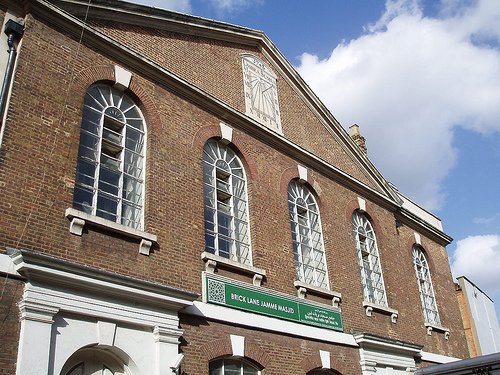 Originally founded in London in 1718 to provide accommodation and assistance to Huguenot refugees and their descendants, this institution has over the years amassed a beautiful collection of artefacts. 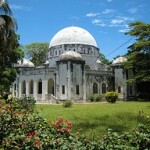 It is this collection that forms the basis of the first museum in Britain dedicated to the history of the Huguenots. With the help of a grant from the Heritage Lottery Fund, along with generous private donors, the top two floors of an unusual 1920s building on Rochester’s historic High Street have been transformed into the new Huguenot Museum. The project has been in the planning for some time but work started in earnest last summer (2014) as major structural works commenced. The building work and fit out of the new galleries was completed early this year and the museum started welcoming its first visitors in May (2015). The museum site is made up of three galleries telling the story of the Huguenots from their persecution in France, their escape to England and the trades, crafts and skills they brought with them. Alongside beautiful new galleries displaying objects never seen by the public before there is a reception area and shop, and an archive room where visitors can look at historic books and archive material relating to Huguenot families and general Huguenot history. There is also a vibrant and engaging learning space. Here visitors can further their learning experience either through a programmed craft workshop, talk, lecture, film screening or cross curricular schools session. 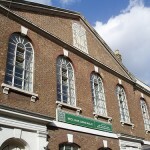 The Huguenot Museum is the first museum in Britain dedicated to the history of the Huguenots, a group of some 250,000 French Protestants who fled from religious persecution in France. The Huguenots largely settled in the South East of England: in Kent (Canterbury, Rye, Sandwich), East Anglia (Ipswich and Norwich) and, predominantly, London (the City, Soho, Spitalfields, Wandsworth, Westminster, Greenwich). There were approximately 580,000 people living in the Capital in 1700; the 40,000 Huguenots living there, represented approximately 7% of the population. 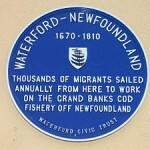 They also settled in the West (Bristol, Southampton and Plymouth). Today, their legacy can be found in fine crafts such as silk weaving, silversmithing, furniture-making, together with banking, insurance, in science, the arts, the church and the army. 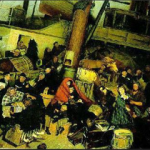 The Huguenots serve as an outstanding example of immigration, and as an early experience of refugees. Their flight from France to England brought the word “refugee” into the English language. 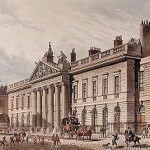 The French Hospital was founded in London in 1718 as a charity offering sanctuary to poor Huguenots (French Protestants). It had several subsequent locations before moving to Rochester in Kent and currently maintains 60 self-contained sheltered flats.